The Board of Directors of The Thin Green Line Foundation, lead by Chair Dr Bill Jackson, are proud to present the 2016/2017 Annual Report. Over the past twelve months the issue of illegal trade in wildlife has made international headlines on many occasions, yet the trade continues to be one of the most serious threats to wildlife and one of the main reasons that Rangers face unacceptable challenges in their on-going efforts to protect nature. The work of Rangers would be made safer if both exporting and importing countries would crack down on this odious trade. Unfortunately, it is not only illegal trade that places pressure on the environment: climate change, land clearing and habitat fragmentation, invasive species, overharvesting and pollution all play a role. For these reasons, Rangers need to be multi-skilled and adaptable. Their crucial role in protecting natural and cultural heritage is under-recognised and deserving of greater support. Despite this grim picture, there is plenty of cause for optimism. New protected areas continue to be established, new technology helps Rangers to manage natural and cultural sites and, at least in the places where The Thin Green Line provides support, Rangers are better skilled and equipped. After ten years’ successful operation, the Foundation continues to provide much needed support to Rangers and to develop new areas such as the Indigenous Ranger Program, due to the very generous support provided by our donors and sponsors. 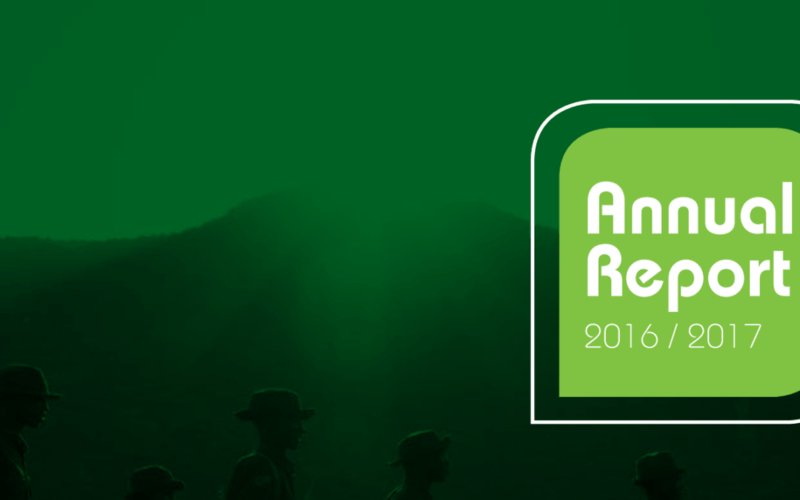 We hope you enjoy reading full details in our Annual Report.